Who Is Mason Reese And Why Is He Crying? I love compelling audio. I love a good story and learning new things. Yesterday, while driving the family home from my son's hockey game, I tuned into CBC Radio One and heard Jonathan Goldstein on Wiretap airing an episode he originally recorded for the Gimlet Media podcast Reply All. Then, Goldstein happened upon this clip of Mason Reese crying on the Mike Douglas Show. It was uploaded by Mason Reese himself. You've got to see this. Why was Mason Reese crying because Harry Chapin was going to play Cat's in the Cradle? There was only one way to find out. Goldstein needed to track Mason Reese down and ask him. The result is precisely what I love about good podcasts and documentary-style radio shows like this: a compelling story in which I learn something new. 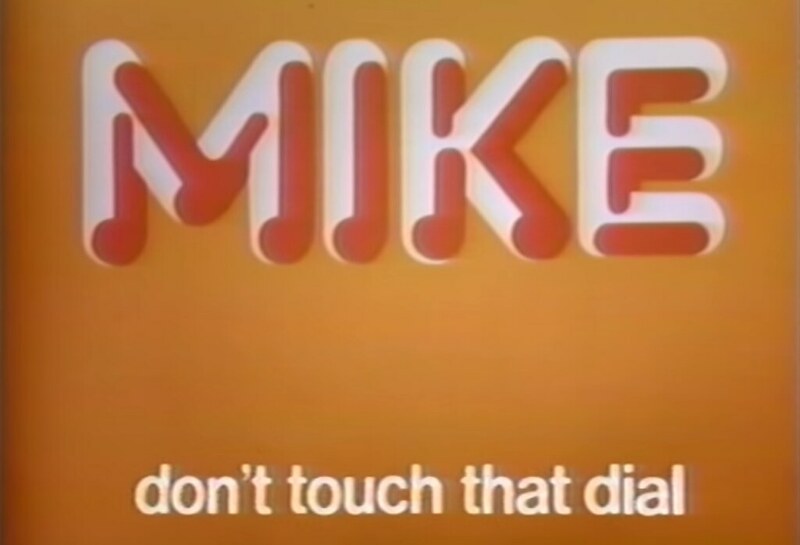 And the Mike Douglas Show, which I had never seen, has an awesome logo I could totally steal. The lifestyle of a child actor must be great initially with all the $ & notoriety. As they get older they may get a spot on a TV show or possibly a movie contract or their time is done. SO SAD. Mason Reese, Gary Coleman, Danny Bonaduce, River Phoenix, , Dana Plato, Todd Bridges, Drew Barrymore. They are many more but where are they now. All are forgotten now except Drew Barrymore who worked through hard times & acting again. I stumbled across this podcast last week and listened to this episode. I vaguely remembered Mason from my youth. I have to say that I found the interview portion rather uncomfortable to listen to at times. I just felt sorry for him, especially after watching the Douglas clip. You can always tell there's a deep, dark insecurity lurking just beneath the surface when a person bombards you with their past personal victories within the first 5 minutes of meeting. A wonderful, yet heart wrenching portrait. Myself being in my early fifties remember the commercials very well. Watching also brought me back in time there is a site http://www.retrontario.com/ I think I might have seen it here before. Anyway sat and watched for a few hours remembering when things were a lot more innocent. Didn't know about the crying thing though sad. I've been linking to Retrontario for so long, it predates that moniker. I started linking to him when he went by the handle WNED17! Awesome memories there for sure. Listened to the 5 hr Marsden theatre Streek tribute over the weekend excellent show!! I caught this podcast last week and really enjoyed it.